“Captive” was a 1986 crime thriller directed by Paul Mayersberg, staring Irina Brook and Oliver Reed. The movie follows the daughter of an international businessman, as she is kidnapped by a trio of abductors, who seek to mold her to their lifestyle. The movie premiered at the Cannes Film Festival in May of 1986, and had a wide opening in France starting on December 3, 1986, and opening in the US on April 3, 1987. In France the movie was released under the name “Héroïne”. The soundtrack to the movie was composed by The Edge, and thus is the only full length solo album by any member of U2. The Edge had approached musician Micheal Brook to be a collaborator on the project. Brook, had invented the infinite guitar, which The Edge has been known to use, most notably on “With or Without You”. Brook co-produced the album, and helped with the writing and the instrumentals throughout the album. All of the tracks were recorded with Kevin Moloney with Pearse Dunne in Dublin. Of particular note is the use of a young vocalist on the track “Heroine”. The Edge approached a young Sinéad O’Connor to sing on the track. Sinéad had previously worked with In Tua Nua on a single “Take My Hand”, and who had been considered for lead singer. However, being too young to tour at just 16 she was passed up for the lead in the band. The band would include Vinnie Kilduff who had played on U2’s “October” album, and Steve Wickham who would go on to play with the Waterboys, and who had worked on U2’s album “War”. In Tua Nua was initially signed on Mother Records, U2’s label in Ireland. It was through these connections that The Edge found Sinéad and this is one of her earliest recorded songs, her own first single being released the following year. The song “Heroine” also includes Larry Mullen on drums. The song entered the UK charts on October 4, 1986 at number 89. The remainder of the album is instrumental with the exception of some voices on “The Strange Party”. Other musicians appearing on the project include Lesley Bishop on french horn. Steve Lillywhite would produce the mixes of the track “Heroine” for the single and album. 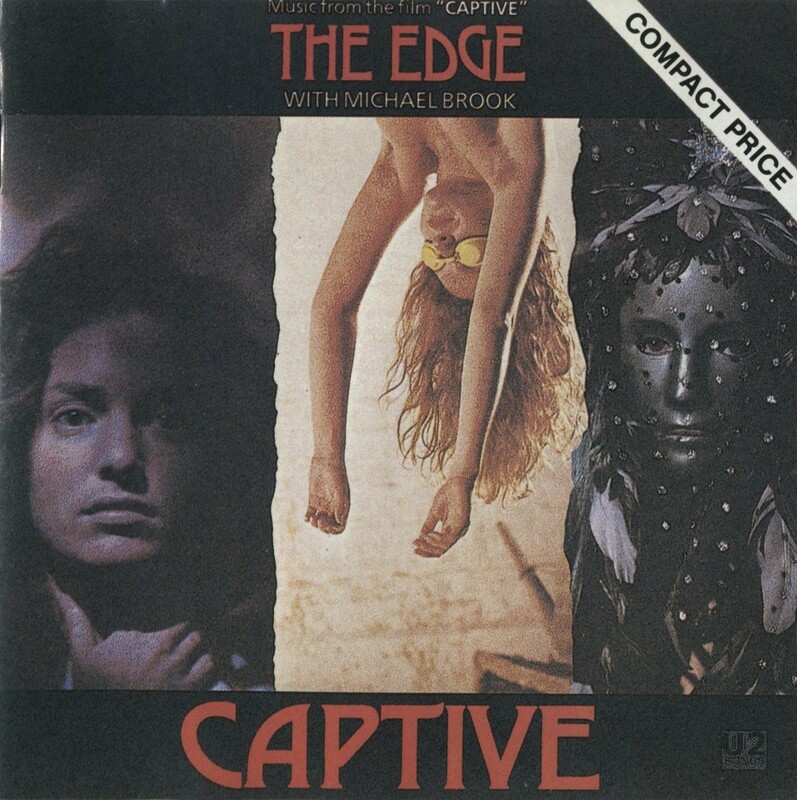 Written and produced by The Edge with Michael Brook. Engineered by Kevin Moloney with Pearse Dunne. Except Heroine – Vocal by Sinead O’Connor, Lyric by the Edge and Sinead O’Connor, Remixed by Steve Lillywhite. Djinn written and produced by Michael Brook. All instruments played by The Edge and Michael Brook, except drums on Heroine by Larry Mullen Jnr and French Horn on Rowena’s Theme by Lesley Bishop.